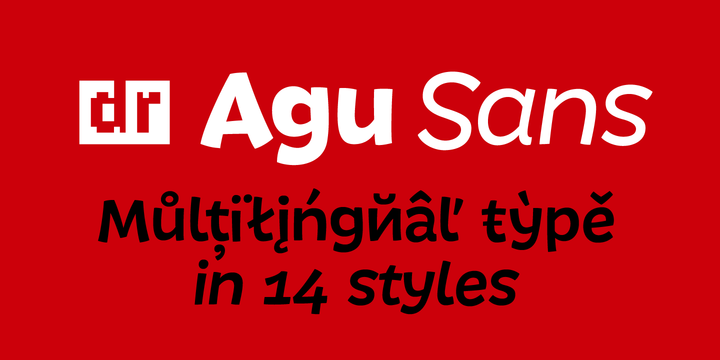 DR Agu Sans is a sans-serif typeface created & published by Dmitry Rastvortsev. This family font contains 14 fonts that has 14 styles, supported codepages and OpenType Features. Enjoy! A font description published on Tuesday, April 2nd, 2013 in Dimitry Rastvortsev, Fonts by Alexandra that has 4,597 views.